Your Weatherford Dentist is Accepting Patients in Aledo! 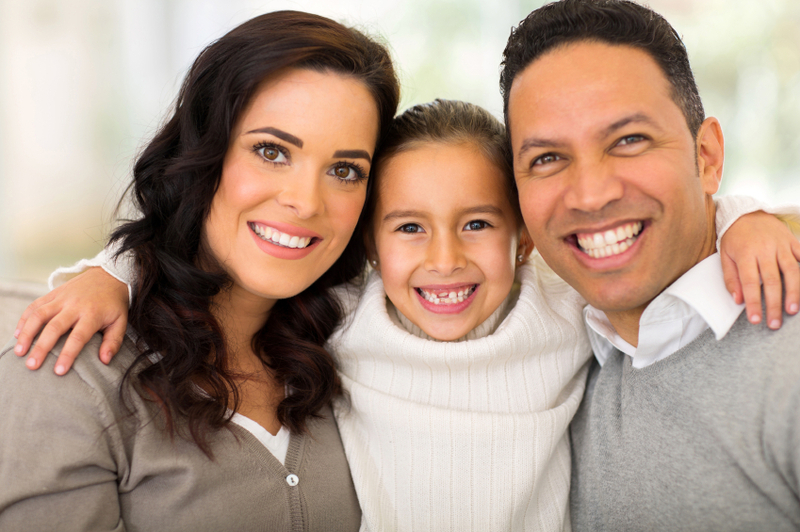 Finding a comprehensive dental provider who can meet the needs of the entire family is tough. Wouldn’t it be great if everyone could go to the same dentist? It would certainly save you time and relieve some of your stress! For nearly two decades, Dr. Deborah Romack and Dr. Garrett Mulkey have been providing high quality dental care to patients in Weatherford and Aledo. With a full range of services available, we’ve designed our practice to meet all of your needs under one roof, and you’re likely to find services here that you can’t find at other practices. Your premiere Weatherford dentists are accepting patients in Aledo, and here are some of the advanced services you can expect to find at Cosmetic and Family Dentistry of Weatherford. When patients fear going to the dentist, it’s often because they’ve had a bad experience as a child. Dr. Romack and Dr. Mulkey understand this, and that’s why we strive to keep every encounter we have with your child positive and fun. Our goal is that your child looks forward to their dental visits, which sets them up for a lifetime of success at the dental office. We provide a full range of services for children, including fluoride treatments, dental sealants, and comprehensive orthodontic treatment. Fluoride and sealants help to strengthen and protect small teeth, while orthodontics straightens teeth and corrects misaligned bites. For patients living with one or more missing teeth, life can be challenging. Our doctors are proud to offer comprehensive implant dentistry, which replaces both your root and your tooth. A titanium post is surgically placed into your bone, which builds a firm foundation for your new tooth, or porcelain crown. While many dentists refer their patients to specialists for implant surgery, Dr. Romack and Dr. Mulkey can complete this treatment from start to finish in the comfort of our Weatherford office. We understand that many patients experience fear or anxiety around their dental appointments. Our doctors are friendly and caring and your comfort is always our top priority, however when this is not enough we offer nitrous oxide sedation for our patients. Nitrous is a breathable gas that works quickly to help you relax during your dental appointment. You’ll be conscious and responsive, yet feel completely at ease during your procedure. Nitrous also leaves your system quickly, which means that it’s safe for you to drive yourself home and resume daily activities. These are only a few of the advanced services you’ll find at Cosmetic and Family Dentistry of Weatherford. We invite you to schedule your next appointment with us and learn more about how we are different. by: tntadmin at December 2, 2016 . Comments Off on Your Weatherford Dentist is Accepting Patients in Aledo!